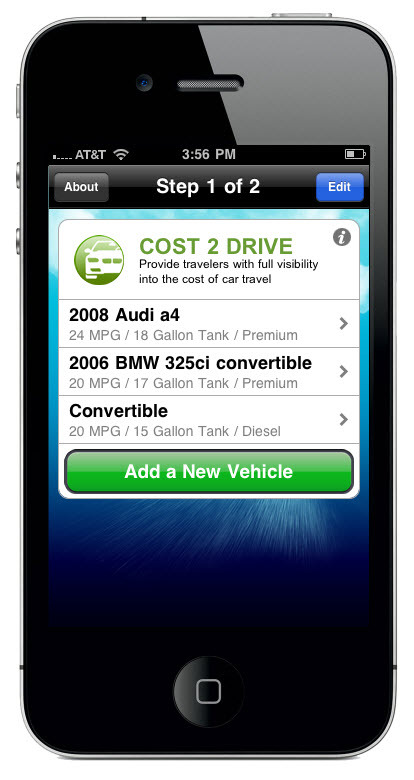 Cost2Drive iPhone App FREE For The Holidays! Our Holiday Gift to You! 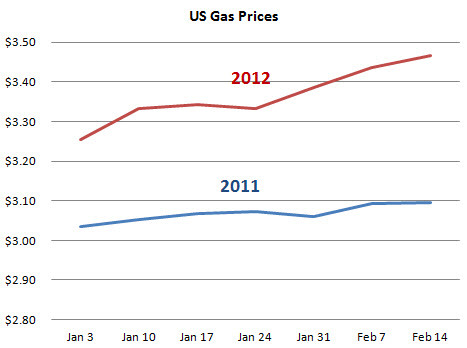 Save $1.99 Through Jan, 1, 2012. 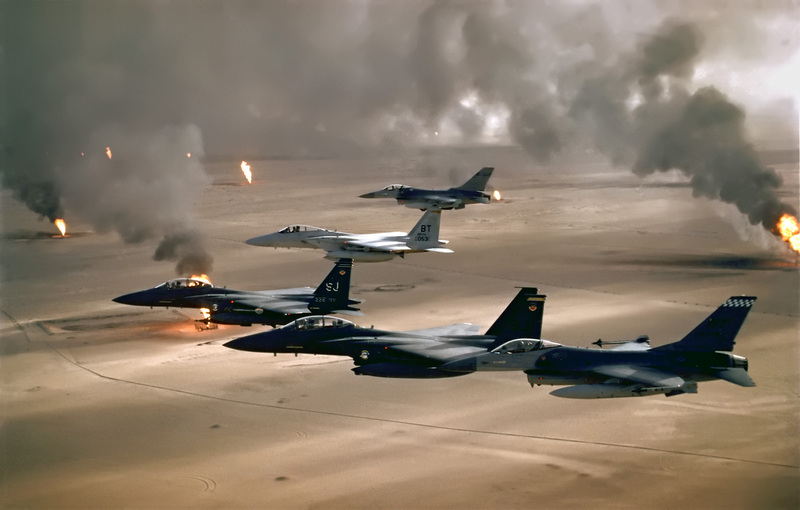 In case you hadn’t noticed, gas prices in the US are now at an all time high heading into the week before Christmas as the price for a gallon of regular unleaded gasoline has remained stubbornly above $3.00. In fact gas prices are a full 30 cents per gallon more than last year at this time which, combined with an unprecedented hike in toll fees, makes this Christmas travel season the most expensive on record. 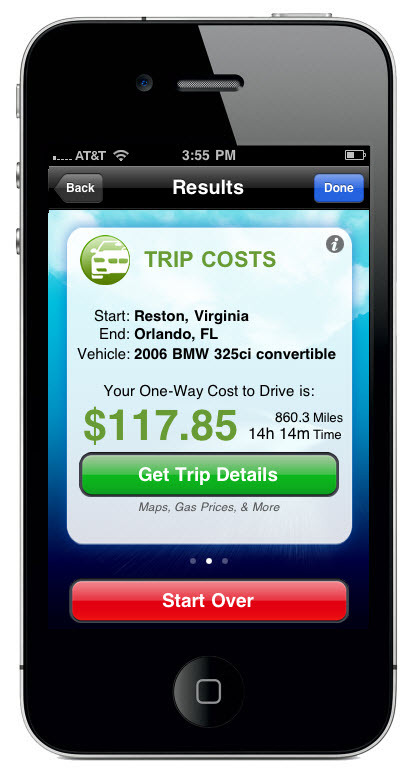 Rather than curse the darkness we’re going to shine a light on what it will cost to drive places this holiday season by offering up our new Cost2Drive iPhone application for free for the remainder of the year. 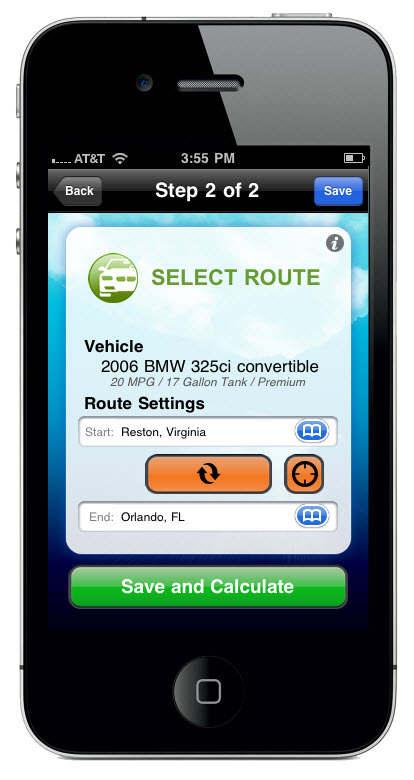 Whether you’re planning a trip home to visit family and friends or planning that winter vacation to the Florida beaches or Colorado ski slopes the Cost2Drive iPhone app will help you budget for the trip by showing fuel costs and save you money by locating the cheapest gas at refueling points along the way. 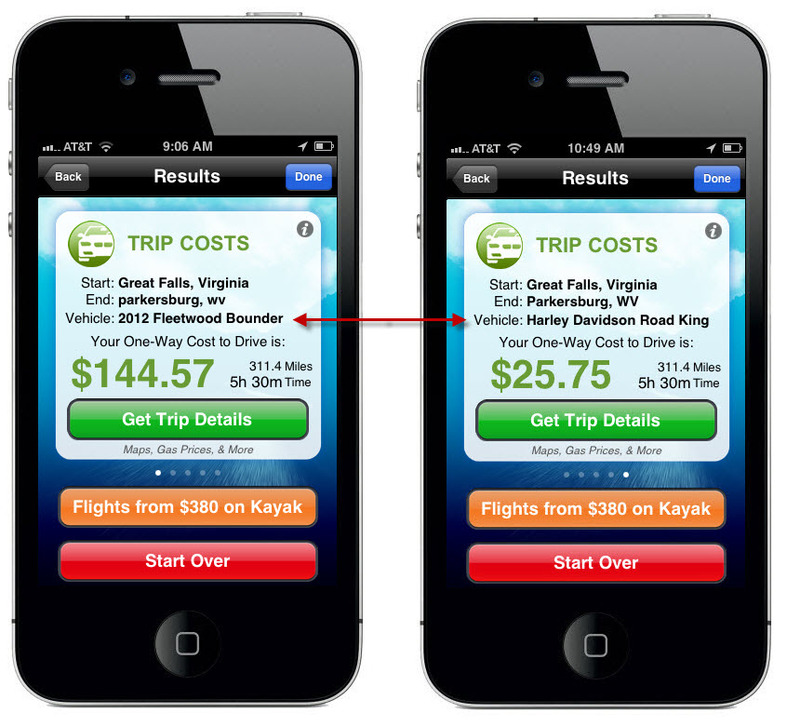 The app also makes it a breeze to quickly compare the cost of driving different vehicles with a simple swipe of a finger and displays the cheapest airfare so you can see if its cheaper to fly or drive to your destination. 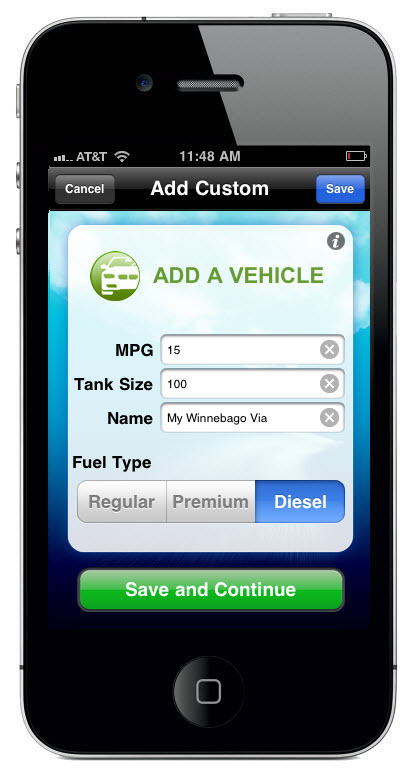 The Cost2Drive iPhone app contains fuel efficiency information on over 20,000 cars and light trucks in the US going back to the 1990 model year and lets you save up to 5 vehicles in the app. It also provides the ability to enter your own custom vehicles making it useful for owners of RVs and motorcycles as well. So we’ve built alot of value into the iPhone app, but don’t take our word for it check out some of the great reviews the app has received, including this one from CNET TV. Visit iTunes to download the new app today for FREE and let us know what you think. 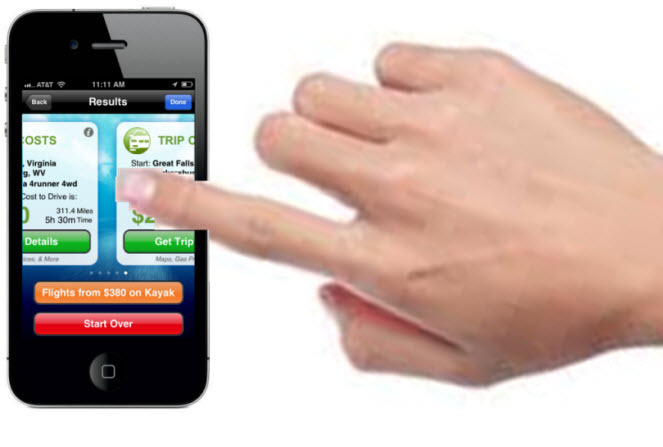 If you don’t have an iPhone, you can use our Website application to begin planning your car trips for 2012. We wish everyone a safe and joyous holiday and a happy and prosperous New Year.